How independent is Surve's Independent with R900m PIC debt? James Myburgh: How independent is Surve’s Independent with R900m PIC debt? 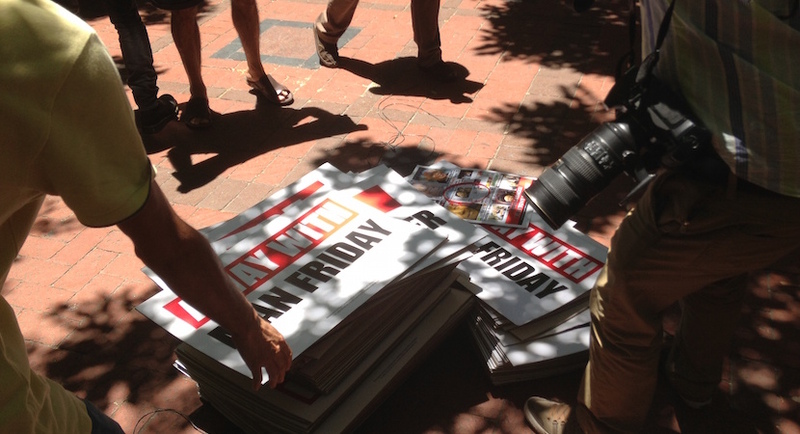 South Africa’s press is once again under renewed pressure from the African National Congress government. At its National General Council the party resurrected an old threat, and called on Parliament to conduct an inquiry into “the desirability and feasibility of a Media Appeals Tribunal” as well as impose an “Empowerment Charter to promote Broad Based Black Economic Empowerment” on the print media sector. The ANC government currently suffers from a severe lack of political and moral authority and its ability to act cohesively on this matter is hindered by the continued fracturing of its leadership. However, South Africa’s newspapers have found themselves weakened by long-running and ongoing decline in paid circulation, declining editorial quality, and the desertion of many advertisers. Over the next several weeks Politicsweb examine the state of South Africa’s press through the lens of the circulation figures of the Audit Bureau of Circulation. In this first article we look at the newspapers of the Independent Media group. In August 2013 the Irish owners of the Independent News & Media South Africa (the old Argus group) sold the group to the Sekunjalo consortium led by businessman Iqbal Survé for €150m (R2 billion). At the start of their twenty year ownership of the group Tony O’Reilly, who had been hand-picked by ANC President Nelson Mandela, re-positioned the titles editorially from their traditionally liberal political stance to a far more pro-ANC one, something that reached its high point during the Mbeki-era. The main concern of the Irish owners though was to extract as much flesh as they could by cutting their South African operations to the bone, with profits being repatriated to Ireland and little being re-invested in SA. During the first ten to twelve years of Irish ownership this model still applied. The group was able to cutemployee numbers from about 5 000 in 1993 to 1 700 in 2012, with only modest declines in circulation initially, something which allowed for the extraction of massive surpluses. Yet as internet access became progressively more widespread in South Africa the circulation of most of the group’s titles entered into a trajectory of increasingly rapid decline. As can be seen from the graph above all the group’s ABC-registered daily titles – with the exception ofIsolezwe and the Diamond Fields Advertiser (which had a small circulation to begin with) – had seen serious declines in core circulation with the fall of The Star in the over-traded Gauteng market particularly marked. The Sekunjalo consortium was thus spending R2 billion on trying to catch a falling knife. This provoked particular controversy at the time given the key role of the Public Investment Corporation (PIC), which manages the Government Employees Pension Fund (GEPF), in financing the purchase, especially in the context of the new owner’s declared closeness to the ANC. It was reported at the time that the PIC had taken a 25% stake in Independent News & Media South Africa on behalf of the GEPF. This share was above the stakes the GEPF held in other media groups, but not inordinately so. At the time the deal was done the PIC held a 19,2% stake in the Times Media Group and 17,22% in Naspers. China International Television Corporation (CITVC) and the China-Africa Development Fund (CADFUND) took a 20% stake in the company through Interacom Investment Holding Limited, with Sekunjalo Independent Media (SIM) consortium holding the 55% balance. “… participated in the financing of the acquisition of 100% of the largest English language newspaper publisher in South Africa, owning 18 major newspaper titles across three key geographic regions, namely Gauteng, Western Cape and KwaZulu-Natal. The company’s primary business is the publication of newspapers, and also provides printing and distribution services to third parties, publishes magazines and utilises its digital platform to provide news content, as well as a platform for classified advertising. Read also: Allan Greenblo: Print decline, diminishing Democracy. Wielding newsroom axe. More details of the loan can be found in the annual reports of the GEPF. In its 2013/14 annual report the Fund disclosed that it had extended a direct loan to Independent News & Media and the “amortised cost” of this amounted to R791m at the end of the financial year. This was secured by “Borrower cession and pledge in security, guarantee from Sekunjalo, pledge and cession of shares.” In its 2014/15 annual report, released last Friday, the GEPF reported that the amortised cost of this loan now stood at R896m (R105m up from the year before). On the face of it this suggests that the PIC financed around 62,5% of the original purchase – through the purchase of the 25% stake (worth R500m) and a loan of about R750m amounting to 37,5% of the purchase price. Furthermore, the increase in the reported loan amount between 2013/2014 and 2014/2015 suggests that Independent Media has yet to begin paying down the loan, and compound interest has been accumulating on it. Politicsweb contacted both the GEPF and the office of Dr Surve asking for clarity on this matter, whether these inferences were correct, and for details of the loan agreement between the PIC and Independent Media / Sekunjalo. “As you are aware, we are bound by confidentiality agreements in relation to the investment of Sekunjalo into Independent Media. As the Sekunjalo Group however we are delighted that our investment and that of our partners PIC / GEPF, CITVC / Cadfund has shown a substantial growth in value and that Independent Media as part of our broader investment into media is a high growth area for our group. Whilst Independent Media is a private business, we are delighted that we have outperformed all of our competitors in the print media space in 2015 by a wide margin including receiving a greater share of the advertising revenue in the private sector. We are also delighted that Independent received the Global Media Award for Innovation from INMA the (International News Media Association) at its annual meeting in New York in May of this year. This recognised the significant investment that Independent has made in new media. Whilst Independent core print business showed successful revenue generation, we are particularly proud that we now have positioned the business to be a modern content driven media business that is able to offer multiple platforms to our key customers as part of a 360 degree solution offering. Before dealing with the performance of these titles it is important to draw a distinction between the different classes of circulation reported by the ABC. There are three basic classes. The first is core circulation. This can be defined as sales falling under the categories of Copy Sales, Individual Subscriptions, Business Subscriptions and PDF Replica. These are copies purchased by individual readers or businesses, for their own use. The second class are categories where newspapers are bought, ostensibly by third parties, and passed on for free to other users. Travel & Commercial subscriptions, Third Party Bulk sales and Print Media in Education (PMIE) sales fall into this class. In all these categories the newspaper is supposed to be paid 50% of the cover price, although barter deals are allowed for Third Party Bulk Sales and Travel and Commercial subscriptions. Finally, in the third class, is the category, introduced fairly recently, of “sales below 50%” of the cover price in any of the previous categories. As in previous analyses this article will focus on core circulation. This is the key class to look at for three basic reasons: Firstly, the individual purchasers of the product are also the actual users of it. Secondly, the core circulation categories are less open to manipulation by the practitioners of the dark arts of circulation management. And, thirdly, non-core circulation – which can involve big once-off or short-term deals – can distort a proper understanding of underlying readership trends over time. This is both when this artificial stimulus is added and also when it is removed. In the context then of an across-the-board bloodbath in core circulation the Independent Media titles have not performed particularly badly in the third quarter of 2015 as compared to the third quarter of 2014 (see table here). Indeed, the group’s three Isolezwe titles (the weekday, Saturday, and Sunday editions of the paper) were the only ones to report meaningful increases in such circulation. That said, twelve of the group’s sixteen titles reported declines of over 5% in core circulation year-on-year. The Cape Times – which saw an extensive purge of journalists and columnists following the takeover by the new owners, and a dramatic editorial re-positioning – reported a 1.1% decline in total circulation and a 9.3% decline in core circulation. The difference was largely accounted for by an increase in sales in the PMIE and Sales below 50% categories. See graph below. As seen from the above there has also been some decline in reported copy sales since 2013. But while business subscriptions have remained fairly stable there has been a significant fall in the number of individual subscribers – from 10 985 in the 3rd Quarter of 2013 to 8066 in the 3rd Quarter of 2015 (a 26% decline). If one looks at the change in circulation between the 3rd Quarter of 2013 and the 3rd Quarter of 2015 it is evident that the new owners have been unable to arrest the decline in the circulation of their non-Isolezwe titles. See Table 1 and 2 below. Again with the exception of the DFA and the three Isolezwe editions all the daily and weekend newspapers registered with the ABC have experienced double digit declines in core circulation between the 3rd Quarter of 2013 and the 3rd Quarter of 2015. In total the core circulation of the daily titles has declined by 13,4% over this two year period, and the weekend titles by 12%. When it comes to its online presence Independent Online continues to trail behind Media24 and the Times Media Group. According to Effective Measure Independent Online sites were accessed by an average of 160 458 unique browsers per day during the third quarter of 2015 (1 July to 30 September 2015). This is ahead of Caxton’s online publications (151 267) but well behind TMG’s (309 311) and Media24’s (590 274). See graph below. The continued fall in circulation in most of Independent Media’s core newspaper business does not in itself reflect badly on the new ownership as many titles of other better resourced newspaper groups have seen similar or worse declines. It does however raise questions about the probity of the PIC’s decision to wager +/- R1,25 billion of government employees pension money on the financing of the 2013 deal. This is especially as it was entirely foreseeable back then that the trend of ever-declining circulation would continue. Given that this trend is not going to reverse itself, particularly given the rapid expansion of access to smartphones, it remains unclear how the group’s newspaper business will ever be able to generate sufficient profits to allow the PIC’s loan to be repaid from internal resources. It has been speculated that Independent Media would go The New Age route of harvesting state and parastatal funding. In October this year Karima Brown, the Group Editorial Executive of the group, complained that government was still directing most of its advertising revenue to Media24 and the Times Media Group, even though the titles of these groups were openly hostile to the ANC. According to an IOL report “Brown told SABC Digital News in an interview on Thursday that the ANC and the government complained about the lack of transformation in the media and about the media taking the side of the political opposition and ganging up on the government. Yet it gave the bulk of its advertisements to the newspapers which were most critical of it, neglecting those which were balanced” (i.e. Independent Media). It will be interesting to see how the group will position itself in the upcoming battle for control over the ANC at the party’s 2017 national conference between the Zuma-ites and the SACP/COSATU supporters of Cyril Ramaphosa. Brown herself is close to a number of SACP ministers and it was Independent Media that broke the story of Nhlanhla Nene’s impending dismissal, two days before it actually happened. This was supposed to have been part of a more widespread purge of mostly SACP cabinet ministers by President Zuma, which appears to have been aborted for the moment. The ability of the Independent group to assert its independence from government, in future, will be severely limited if it has not been able to start paying down its loan to the GEPF, or even the interest on it. It is thus a matter of critical public interest that the terms of the loan agreement between Sekunjalo, Independent Media and the PIC, and the full sums originally loaned and currently owed, are finally declared. Dr James Myburgh is the editor and publisher of Politicsweb. He earned his doctorate at Oxford University. This article appeared first on Politicsweb.